For the brazen bride, the traditional white dress with a tried and true ceremony just wont do! The nonconforming bride desires a wedding that is as unique as she is! at The Nonconforming Bridal Fair! The Nonconforming Bridal Fair brings you a vast selection of wedding professionals, experts and suppliers to turn your wedding vision into reality! Plan your entire wedding in 3 hours or less! Chance to win over $2,000 in prizes! 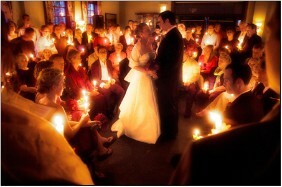 Would you like to save up to $3,000 or more on your wedding costs? Who wouldn't? Face it, weddings are can be pricey and no matter what your budget saving a little (or a lot) of money is always appreciated and welcomed! Our wedding savings book features great deals and discounts from professional wedding vendors in the DC area! Click here to learn more and to pre-order your book! LGBT Wedding Expo - Hotel Palomar - Washington DC from PhotographyByAlexander.com on Vimeo.